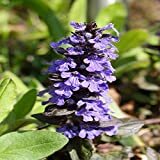 Ajuga plants for sale – Easy plant to grow, mostly grown for the ornamental flowers and for the leaves, planting in spring to autumn and better to buy plant or another option to start from seeds yet more challenging. Leaves in oval shape color can be: black, purple, pink, white or green. Ajuga plants for sale – What need to know before growing Ajuga plants? 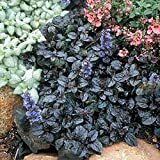 Need to know before growing Ajuga plants it can use as ground cover plant, need average amount of water, well-drained soil, full sun to full shade with light, cool weather and can be invasive.